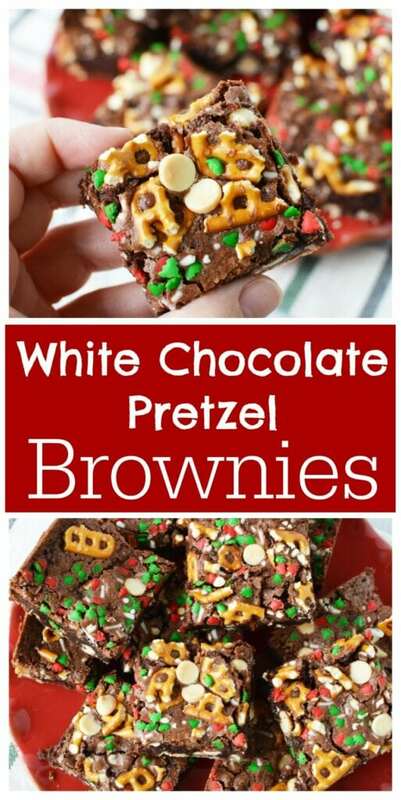 Before we get started with the ingredients list, I do want to say that if you are missing pretzels and want to substitute with something else salty, go right ahead! Mix and match and use what you have in your pantry. Have a little fun when coming up with your brownie design. And if you have little ones, get them involved. This is the type of dessert that small hands would absolutely LOVE to create. My daughter is 13 and she LOVES making desserts like this one. Preheat oven to 350 and grease a 9×13 pan with nonstick cooking spray. Add melted butter, sugar and vanilla to a mixing bowl and mix well. Stir in eggs. Stir in flour, baking cocoa, baking powder, and salt and mix well. 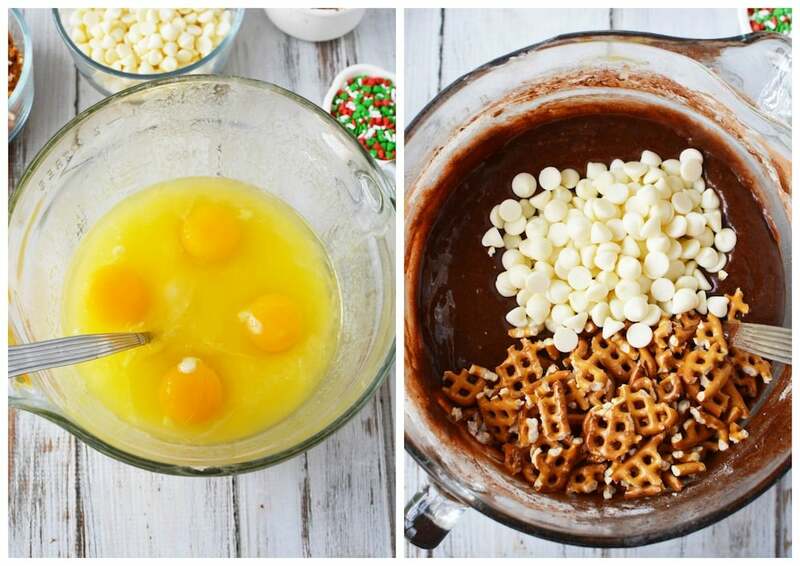 Add half of the pretzels and half of the white chocolate chips and mix well. Pour batter into prepared pan. 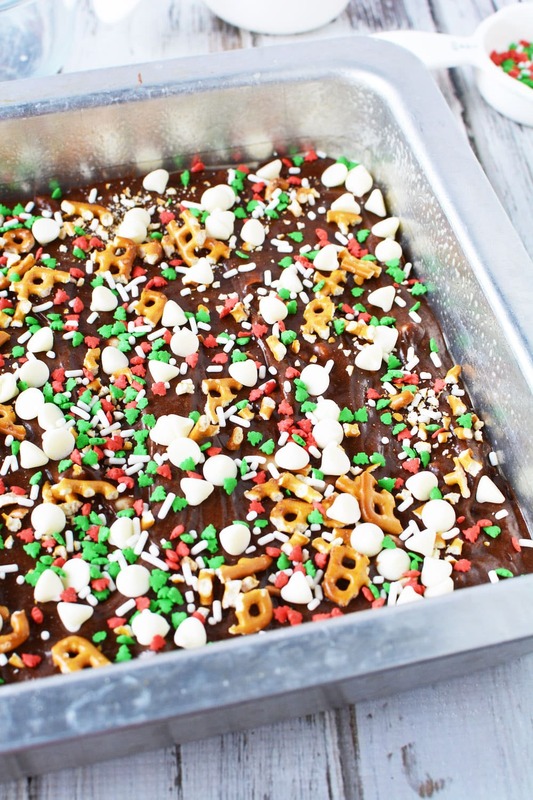 Sprinkle top of batter with remaining pretzels and white chocolate chips. Sprinkle with holiday sprinkles. Heat for 22-28 minutes or until center is set. Cool completely before cutting into 24 bars. Aren’t these so fun to display? I just love the way they play on green and red for Christmas. These brownies would make a great holiday hostess gift or even a fun treat for your child to bring to school (if they still allow sweet treats in the classroom). 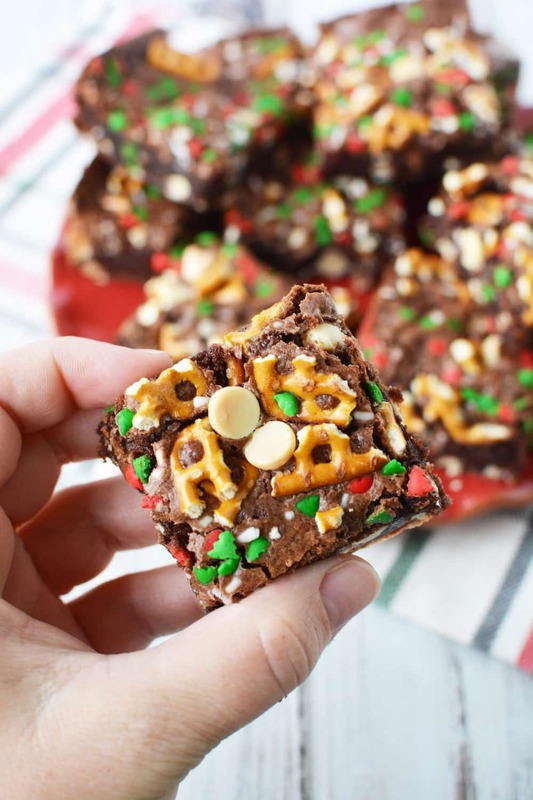 The best brownie recipe is one that is easy to make and fun to eat and I think that we hit both marks with this post. Don’t you? Nothing beats a treat that is both salty and sweet at the same time! Yum and yum. 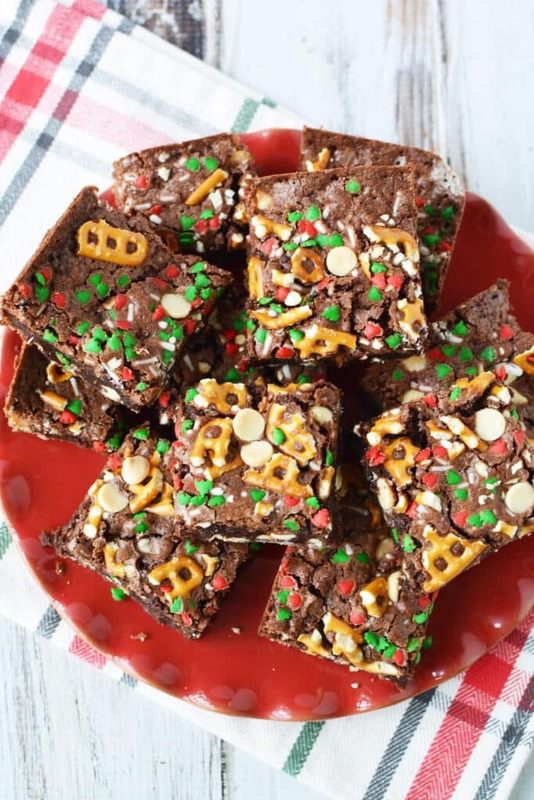 Looking for more sweet recipes? No problem!